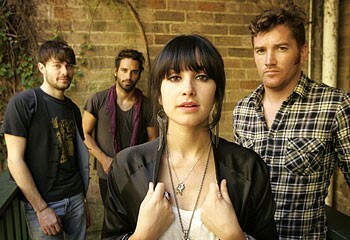 Howling Bells are an indie rock band that formed in Sydney in 2004. The band obtained moderate popularity in the United Kingdom following the release of its 2006 self-titled debut album. The lineup consists of Glenn Moule (drums), Brendan Picchio (bass guitar), Joel Stein (lead guitar), and Joel's sister Juanita Stein (vocals, rhythm guitar). Originally called Waikiki, the band changed its name and musical style preceding its move from Australia to England. 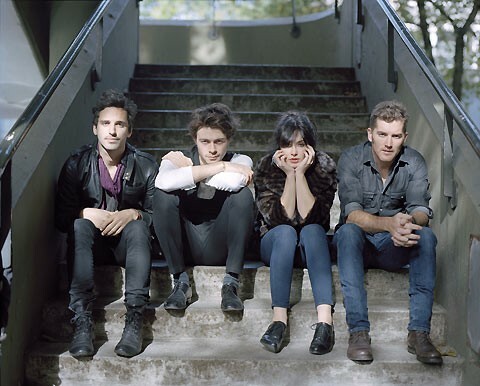 Howling Bells' debut album, Howling Bells, was produced by Ken Nelson. The album charted in the Top 100 in the UK and just outside the Top 50 in Australia. It was also included on Album of the Year lists for a number of publications. 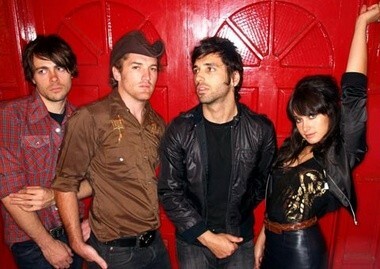 The band's next release, Radio Wars (2009), received mixed reviews, although it charted higher than its predecessor in both the UK and Australia. The band supported Coldplay on the third leg of the North American Viva la Vida Tour. In 2009, Gigwise named Juanita Stein "the sexiest woman in rock."